The hype and excitement of PlayStation fans surrounding PlayStation Experience event is "Massive and Uncontrollable". The event is scheduled to take place on December 6-7 and there will be numerous panels with developers, contests, giveaways and more importantly some "Surprising Game Announcements" that will make "Lot of Noise and People Rage (according to GameBlog France Editors who are aware of at least one of those announcements)". Back in October 2014, PlayStation product development boss Scott Rohde in PS Blog Podcast stated this about PlayStation Experience event showcase: "We're gonna show you a bunch of stuff that maybe we shouldn't show you yet,"
There are a lot more of these type of teaser statements made (actually on daily basis) from numerous insider sources and video game developers and as a result of this plenty of rumors have been circulating around the globe on What Sony has up their sleeve for PlayStation fans at PlayStation Experience event which is scheduled to take place later this week. Here are some of the PlayStation 4 announcements we expect Sony to make at the PlayStation Experience event. It's an open secret that Guerrilla Games are working on a brand new open world RPG IP codenamed as "Horizon". In Sep 2014, some concept art showcasing a robot dinosaur, lead female protagonist with red head and some weapons and story details about Horizon were leaked on the internet. The studio has officially confirmed that they will be attending PlayStation Experience event, and last week posted a job listing for "Media Intern" for Producing Trailers. All these can't just be a coincidence, and this is the safest bet PlayStation fans can put on for PlayStation Experience announcement. A well known industry insider "Jeremy Conrad" of Furious Fanboys (Ex-IGN Editor) stated that Insomniac Games will showcase first gameplay footage of "Ratchet & Clank" Remake and announce release date at the special Sony Event (PlayStation Experience). The timing for this announcement looks perfect for both Sony and Insomniac, the studio has completed their work on Xbox One exclusive Sunset Overdrive and Sony will be trying to calm down the angry PlayStation fans due to the Microsoft/Insomniac deal for Sunset Overdrive with this Ratchet & Clank announcement at PlayStation Experience. At Games2014, Media Molecule announced that they are working on Big unannounced PlayStation 4 exclusive title and released pretty intriguing Tech Demo, and since then PlayStation fans hardly heard any new information on how development works on this new game is shaping up and so on. So, either Media Molecule will officially unveil there unannounced PS4 project or they will be on stage at PlayStation Experience event about "Teraway Unfolded", a heavily modified version of the original Tearaway that was launched on PlayStation Vita. Sony Bend, the developer behind PS Vita exclusive title, Uncharted: Golden Abyss, are working on yet another AAA exclusive title for Sony's handheld console, according to details discovered via new job listing on the official website of the developer. The job listing stated: "Bend Studio the creators of Sony's flagship Vita title Uncharted Golden Abyss is currently looking for the entertainment industries top Artistic talent to help us create AAA content for Sony's powerful new hardware. We just scratched the surface on what the Vita can do with Uncharted Golden Abyss and expect to push the platform even further with our future projects. Candidates must be passionate about their work and thrive in small-team environments where everyone inspires and pushes everyone else to create great games"
PlayStation Experience will be the best place for Sony Bend to showcase this AAA PS4 exclusive title. The trophy list for Beyond: Two Souls PlayStation 4 version was leaked on the internet earlier this year, and on top of that numerous retailer listed the game with 2015 as the release window. So, there is no doubt on the existence of Beyond: Two Souls Remastered for PlayStation 4, and PlayStation Experience will be the best place for Quantic Dream to showcase to the world what they are able to achieve on PlayStation 4 (with respect to graphics/visuals) via Beyond: Two Souls Remastered. About Unchared Collection for PlayStation 4, both Sony and Naughty Dog stated it will be a Good Way of Introducing new players (who have migrated from Xbox/Nintendo to PlayStation Family) to Uncharted franchise and are looking forward to playing Uncharted 4: A Thief's End. One team at Naughty Dog is busy working on Uncharted 4: A Thief's End, and the second team is busy with "either new IP or sequel to The Last of Us", so there's a possibility that another studio like Bluepoint Games or Amature studios who have handled ports in the past are working on this Collection. Naughty Dog has already confirmed that they will be attending PlayStation Experience event in full force and will address a developer panel which will be about how the studio built E3 2014 teaser trailer of Uncharted 4: A Thief's End. The game is scheduled to launch in Fall 2014, so there is massive amount of time for the development team to showcase a new trailer/gameplay footage. PlayStation fans should keep their hopes in check for the new Uncharted 4 gameplay/trailer at PlayStation Experience and expect tons of technical details along with updates straight from the individual developers at the studio on the challenges they faced while working on Uncharted 4. 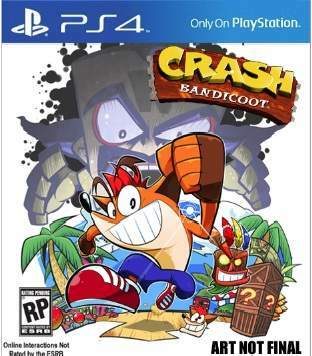 In the past six months or so we have seen and heard a lot of new things about Crash Bandicoot series making a comeback on Playstation consoles, this includes: Amazon France listing of Crash Bandicoot for PS4, teaser from Playstation Brazil and Sony Demark and last but not the least, Activision removing all reference of Crash Bandicoot from their official website and also closed dedicated website of Crash Bandicoot which was managed by them. Sony buying back Crash Bandicoot IP and announcing a new title with a short teaser at E3 2014 "hiding the details on release and developer" would be a gift for Playstation community, it would be like Christmas coming early for them. Just before E3 2014, Sony had confirmed that The Last Guardian is still in development, however nothing was showcased at the event. 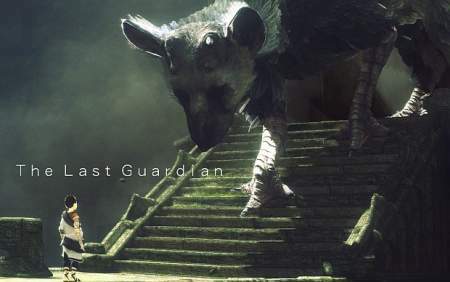 The game is unlikely to debut at PlayStation Experience Event but die-hard PlayStation fans who waited for this long to hear/see an official update on The Last Guardian, deserves atleast 10 seconds or so of the teaser trailer with a message like "Guardian Is Coming". These are my choices, tell us in the comment section below what are you guys expecting to see at the PlayStation Experience Event from Sony.